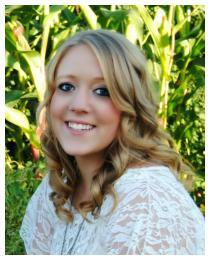 Sarah is currently serving as the Acting Executive Director of the District. 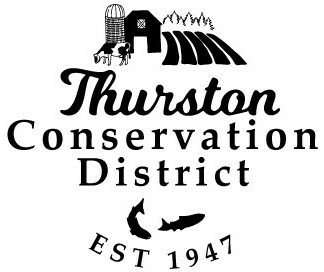 Sarah has been with the Thurston Conservation District since 2010. She oversees the District’s education, communications, and outreach initiatives. Sarah serves as point of contact for many members of the community to learn more about the district and services provided. She oversees the development and creation of outreach materials, media campaigns, and educational events and programs. Sarah graduated from The Evergreen State College in March of 2011 with a Bachelors in Environmental Science, focusing in Natural Resources Science Education. Her coursework included: chemistry, aquatic ecology, education, grant writing and photography. She has additional skills in outreach, marketing, event coordination, educational material development and water quality monitoring. Sarah is passionate about youth outdoor education and working with rural communities, local food systems and agriculture. Sarah is devoted to the work that conservation districts do and believes the in the power of voluntary conservation. She plans to continue to help the district grow and respond to the changing needs of the community long into the future. Wise use of our shared resources will continue to be the most important conversation in our lives, and Sarah hopes to help further this discussion. We live in a beautiful place, that with knowledge and a little help, can be just as breathtaking and thriving for generations to come. Sarah hopes to help leave a legacy of clean water, fertile soil, sense of community, recreation, knowledge and happiness for her son and family.